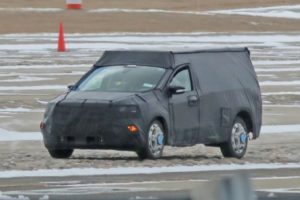 This weird-looking Ford SUV is reportedly the first testing mule of the new-gen 2020 Ford Escape. 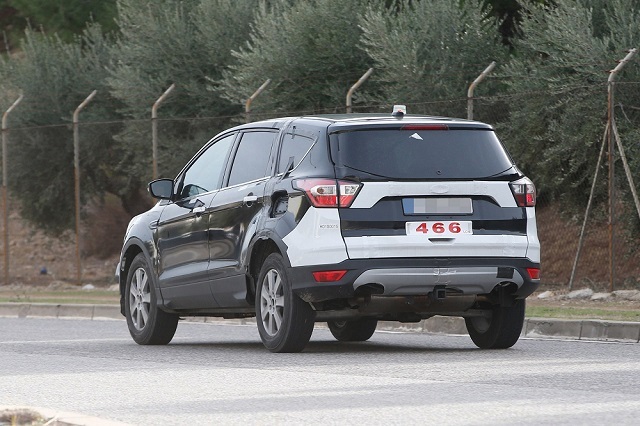 The compact crossover which is known as Kuga in Europe will likely grow in all directions. Even though it is in the early phase of development, the car manufacturer can’t really hide the new dimensions. Moreover, aside it’s longer and wider, the testing mule also features a higher ride height and steeper approach angle. 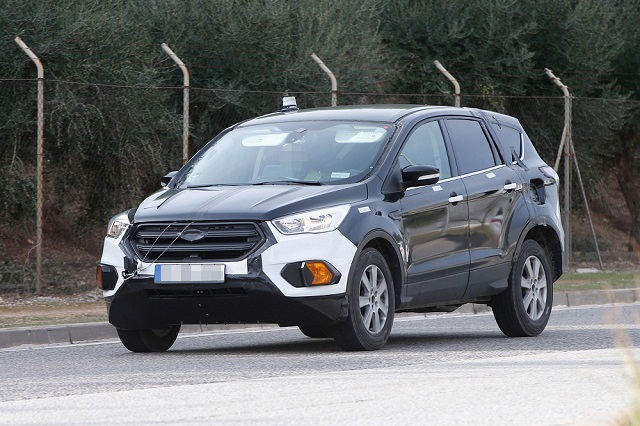 The increase in size in the future seems to be pretty logic because Blue Oval introduced the subcompact Ecosport. However, the additional space inside is not going to be exploited for the third row of seats as some reports suggest. Instead, the 2020 Ford Escape will offer a significantly larger cargo space and a bit more space for passengers in the back. It’s too early to talk about design changes at this point because the mule can’t really help there. 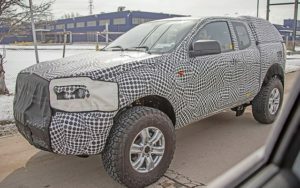 Still, we expect to see a more rugged SUV which will likely host totally new front and rear ends with plenty of details borrowed from Ford’s latest models. The cab will be completely redesigned and paired with the latest technology, including more standard equipment. The next-gen Ford Escape will share the platform with the new Focus. The architecture may be slightly adjusted to the high-riding vehicle, but it’s going to be essentially the same. The crossover will mostly employ 4-cylinder options, which will be mated to an eight-speed automatic transmission. 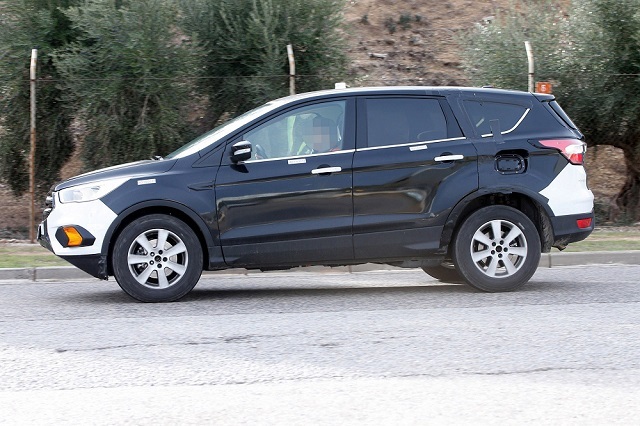 Still, we’ve largely expecting to see the 2020 Escape Plug-In Hybrid as well. The electrified SUV will reportedly use a 2.0-liter Atkinson-cycle four-cylinder engine and a 118-hp electric motor. The motor will be connected to a 7.6-kWh lithium-ion battery and will enable electric-only drive range of at least 30 miles. The carmaker won’t change anything regarding the place of production, which means that the 2020 Escape is going to be built at Ford’s plant in Louisville, Kentucky, just as the current model.